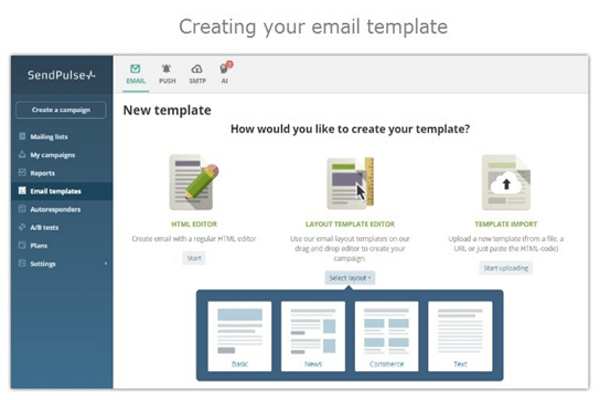 With SendPulse, you can easily create emails using the drag-and-drop editor. Even if you have never created an email campaign before you will succeed at it. 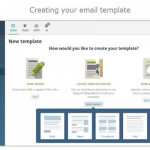 You can also use one of SendPulse’s ready-made templates for your campaign. All templates look good at any screen resolution on desktop or mobile thanks to responsive design. 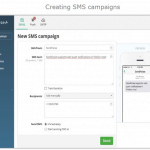 Smart personalization and list segmentation improve the relevance of your messages. With these functions you can address your subscribers by name and make customer-oriented offers based on any meaningful unique subscriber’s data that you have. 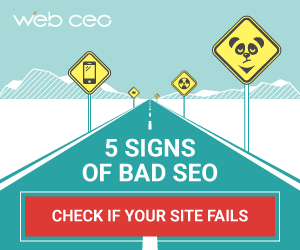 This will let you achieve higher open rates and CTR’s. No easy social posting automation. Many processes in SendPulse run automated and help you avoid mistakes when working with large amounts of data. You can set up series of emails and the service will automatically send them by the conditions you specify. This function helps you launch automatic email campaigns like welcome letters after subscription, trigger and transactional letters like reactivation emails, and others. 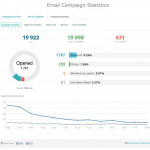 For each email campaign you get a detailed statistics report with the number of opens, click rates, and other metrics. You can also track clicks by geographic location and see what links in your email were clicked by subscribers. 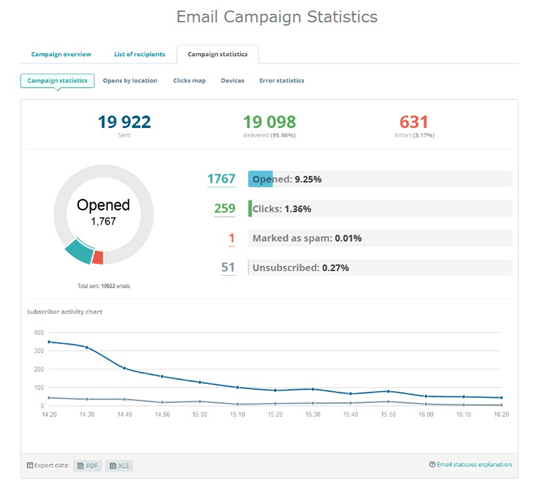 If your email campaign has a low open rate you can improve it by using the “Resend to unopened” feature – send emails to those subscribers who didn’t open your email. On average this increases the original open rate by 30-80%, depending on industry. Use the mobile app when you’re away from a desktop or laptop. Here you can create templates, schedule emails, and view statistics reports. 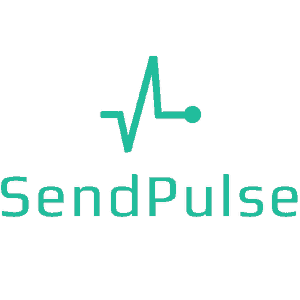 You can integrate SendPulse servers with your CMS, CRM, or other projects and send mailings from your own online system. 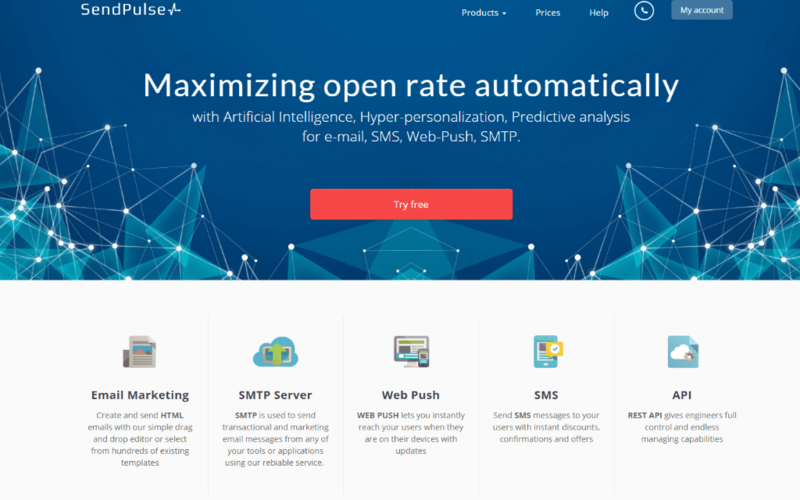 SendPulse SMTP enables you to verify ownership of your email sending domains by adding SPF and DKIM records. 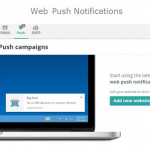 Inform your customers about news, sales, order statuses, and other events. Short text notifications works on over 80% of devices on all major browsers, including Google Chrome, Safari, and Firefox. 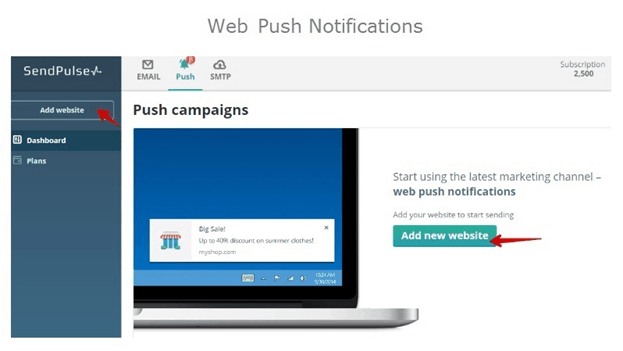 Sending push notifications in SendPulse is absolutely free for everyone. 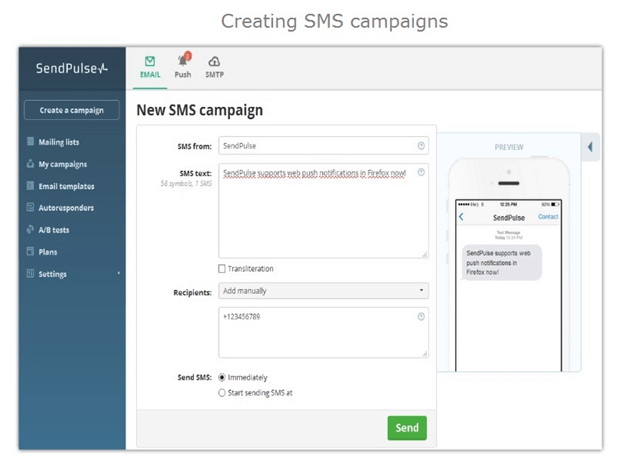 Send SMS messages on over 800 networks in over 200 countries around the world with a delivery speed of as high as 500 messages per second. $32 Pay as you go plan – 10,000 messages. Free Version: up to 15,000 emails to 2,500 subscribers for free each month. Try it now.